I was staying up near Columbia University in Morningside Heights with my friend and had fun one morning trying to use a longboard (it is not that easy!!!) We ran into these funny men who were helping someone move out so I grabbed a photo with them haha. 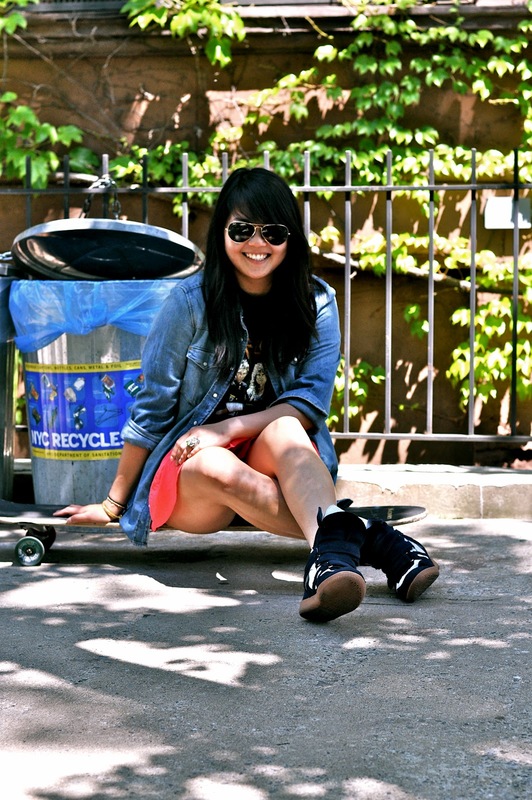 Haha cute photos and I adore your Isabel Marant Sneakers! morningside heights is definitely an interesting area! Looooove the Isabel Marant Sneakers! Just wondering...where did you get them?